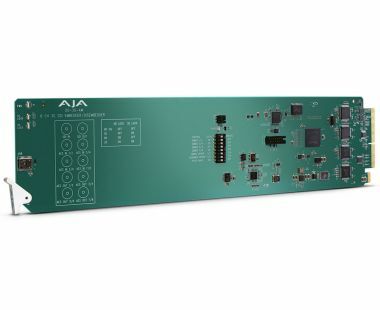 The OG-3G-AM is a state-of-the-art, openGear-compatible, 8-channel AES audio Embedder/Disembedder with support for 3G-SDI input and output up to 1080p/60. Simple user controls allow channel enabling and mapping. A 10 BNC rear Open Gear connector module is included.